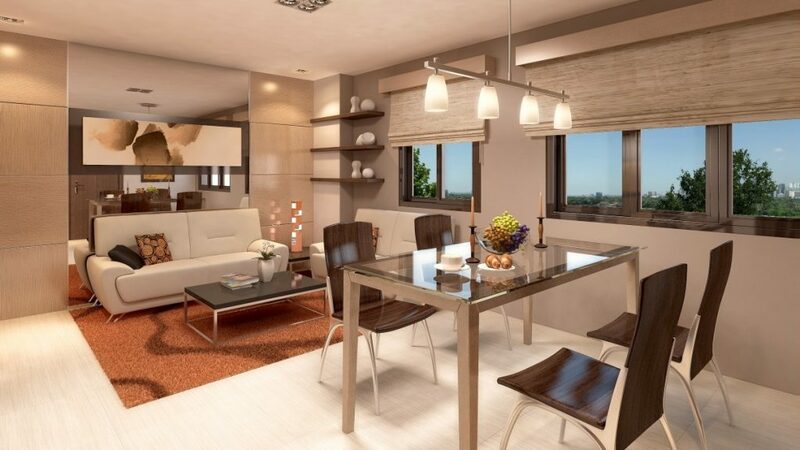 At Escalades South Metro, residents have all the space they need for leisure and family time without leaving the convenience that only an urban home can offer. 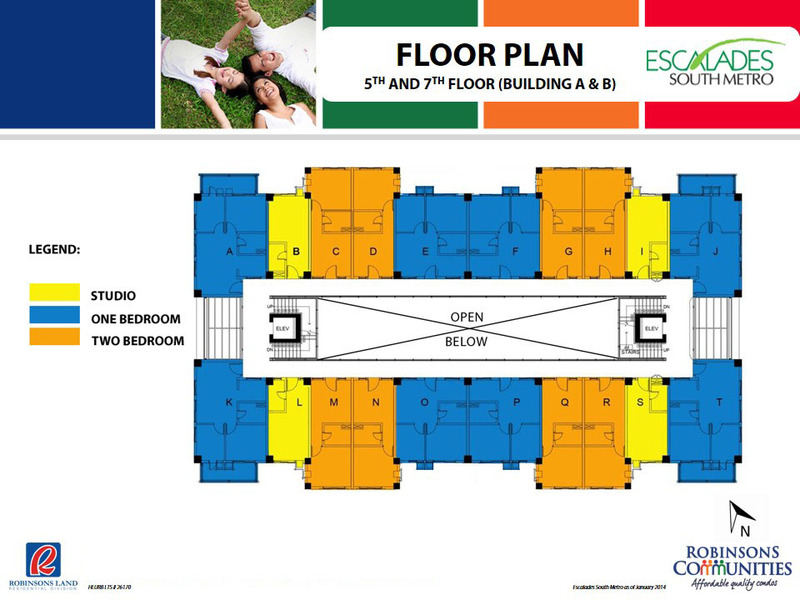 Escalades South Metro is a modern Filipiniana-inspired mid-rise residential enclave perfect for families who wish to enjoy the convenience of living within close proximity to major business and commercial districts such as Makati, Global City, and Alabang while relishing in the comforts of serene southern lifestyle. Complemented by leisure amenities, blooming gardens, and lush open spaces, Escalades South Metro is truly a verdant haven in the vibrant south. 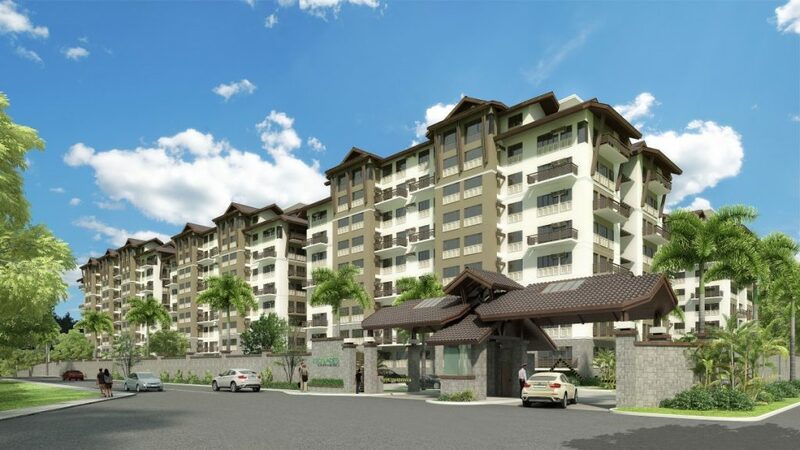 Lead the good life in Escalades South Metro along Meralco Road, Barangay Sucat, Muntinlupa City. 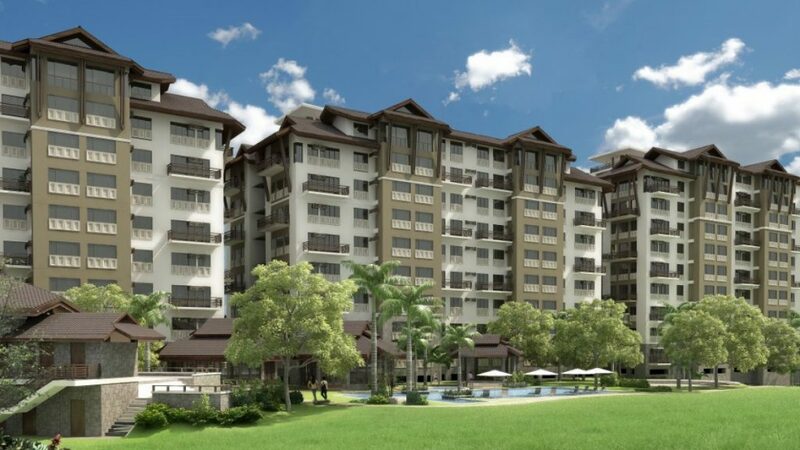 It is strategically located for professionals, couples, and families working and studying in Parañaque, Muntinlupa, Makati, and Bonifacio Global City. 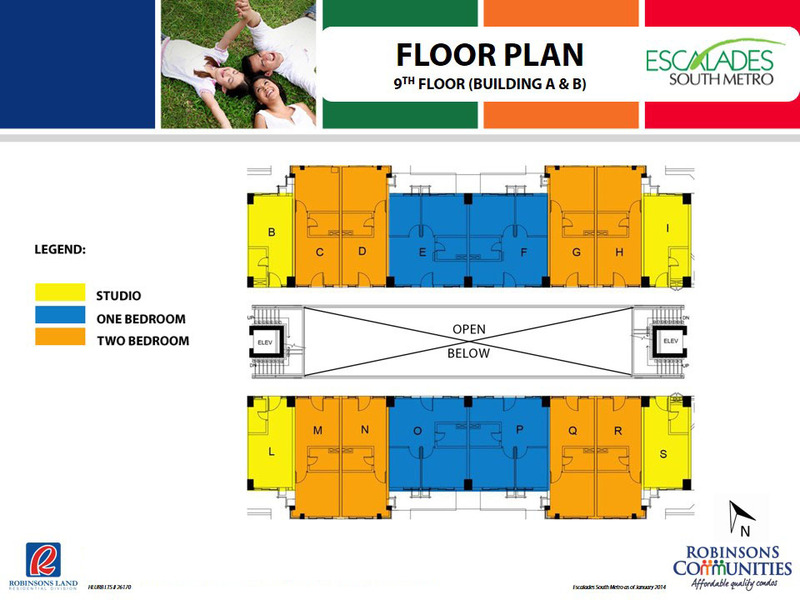 The Escalades South Metro is accessible via major roads and highways such as C6, EDSA, and South Luzon Expressway (SLEX). Because of this, travelling to and from the Makati, Alabang, and Bonifacio Global City commercial and business districts is a breeze. If you are looking for exciting activities, you can easily take a dip in one of the swimming pools, play soccer with friends on the field, or workout in the gym. If relaxation and quiet are what you need, a stroll along one of the landscaped gardens or courtyards might just be the thing for you. 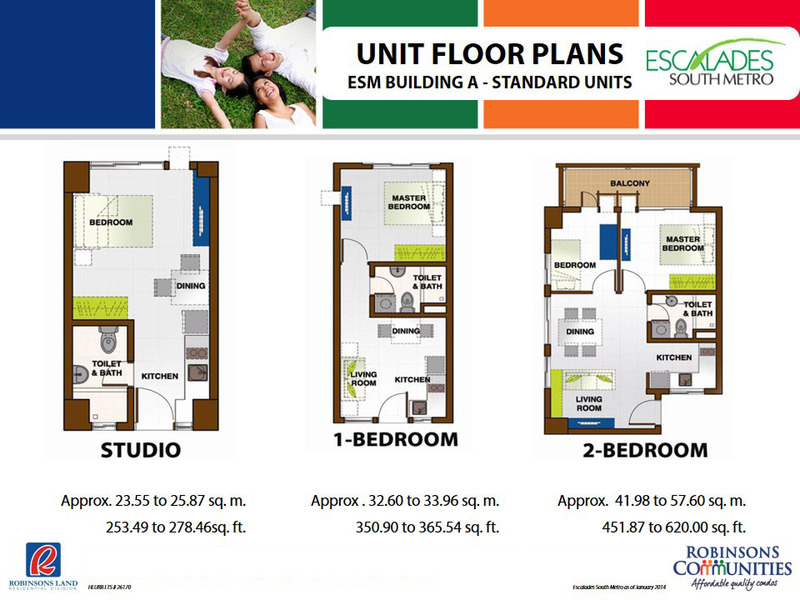 Escalades South Metro maximizes space through its airy and efficiently-designed residential units. The availability of the Property Management Team’s services also ensures that residents get to enjoy the things that matter without the need to worry over the small stuff. 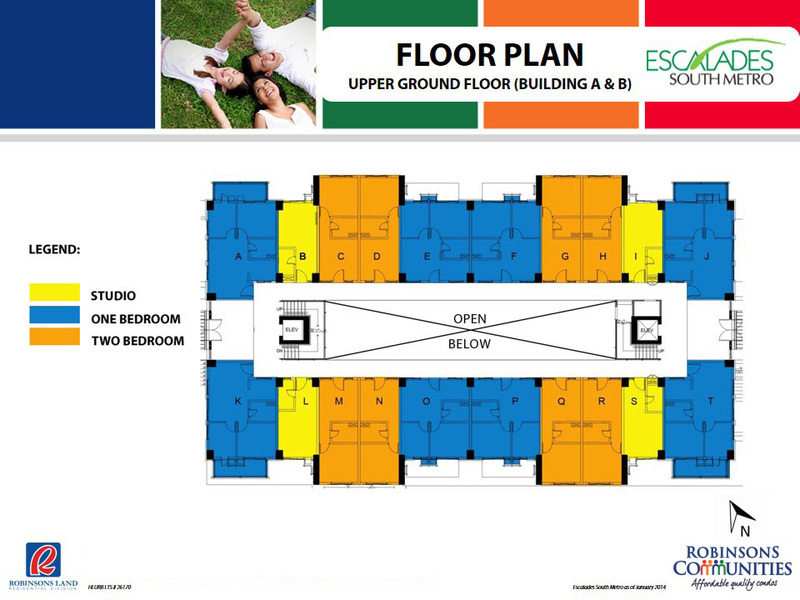 It offers urban professionals, young couples, and start-up families a choice between studio, one-bedroom, and two-bedroom units that are comfortable, secure, and stress free.